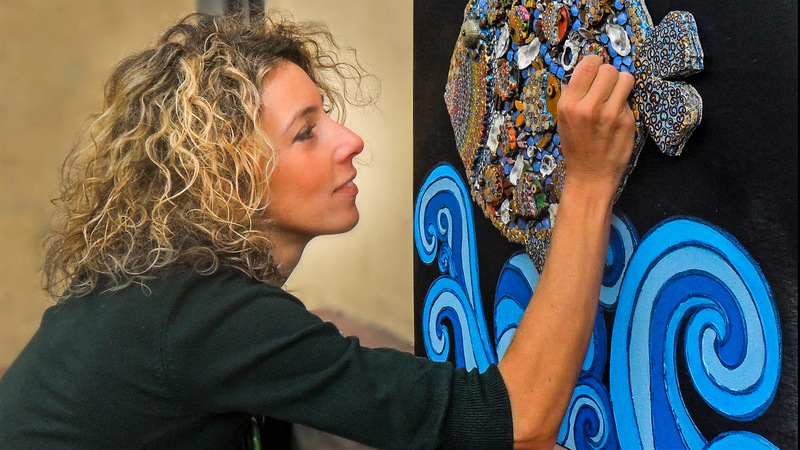 Silvia Logi is self-taught artist from Florence. The initial spark for her art was the intuition that the materials found in nature could become the “building blocks” of the works that already took shape in her mind. The challenge also lies in the large number of materials contamination with a great sense of the game but at the same time research of harmony. Thanks to the endless possibilities of the wood malleability combined to the revolutionary contamination with other materials, Silvia invented her expressive language of “materic fusion ” which sails on free route between art and craft, overcoming and erasing their boundaries. Her works seem to be a magical dialogue between Man and Nature, where the latter is the language but ALSO the main subject. 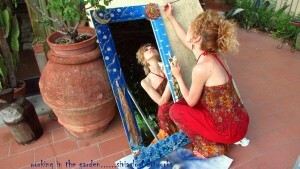 Silvia’s “child soul” is especially evident in the Fairy Tales and Legends “illustrated” on old boards with vertical orientated landscapes that seem to reach a higher and higher “Elsewhere”, which is reachable but at the same time elusive and, for this reason, the inspiration for a new work . Other “families” of subjects are the colorful dreamy animals and finally the cities and skylines made of boards, pallets , doors and windows frames, where the human element harmoniously coexists with Nature. Since 2007 Silvia exhibits her work in personal and collective Art exhibitions. 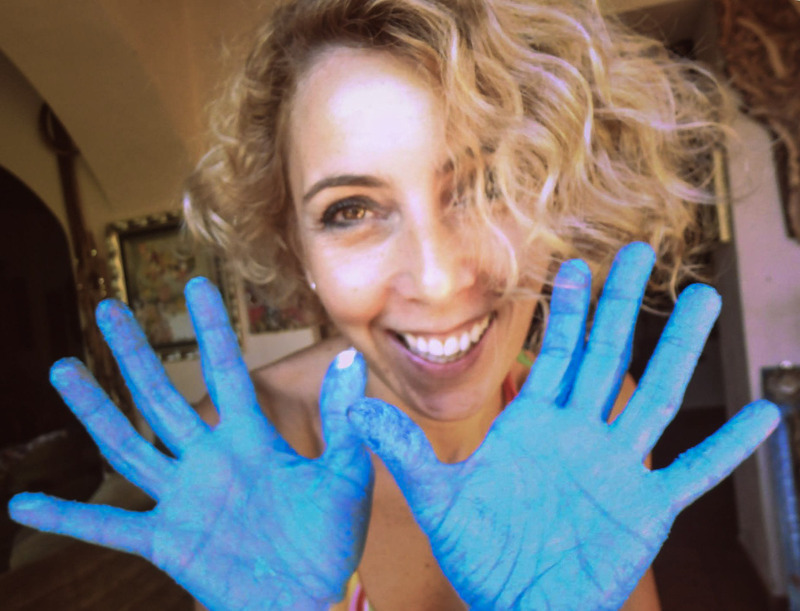 Thanks to the web diffusion, Silvia’s artworks are known and purchased by customers in various corners of the planet. On May 2013 a short documentary on Silvia’s unusual artistic path came to life from a project of the young director Jaclyn Edmonson and her team of Middle Tennessee State University, led by the famous documentary filmmaker Tom Neff (Founder of the Documentary Channel and nominated for an Academy Award with one of his documentaries). The title is SBOCCIARE (Italian word for : “to blossom” , the short film is about pursuing the “art within” despite all odds ) and it should be aired on PBS network in the United States after having already collected major awards on the Independent Cinema Festivals circuit (below: poster of the documentary with some of the won awards). In October 2014 Silvia is asked to take part to an independent film by the Californian producer and Director Christopher Pratt. Silvia plays the role of an artist that just as she works with the language of Nature: a small part that was specifically “sewn on.” her. The film will see the light in 2015.